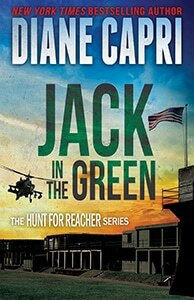 Bestselling author Diane Capri is a recovering lawyer. She’s a snowbird who divides her time between Florida and Michigan. An active member of Mystery Writers of America, Author’s Guild, International Thriller Writers, Novelists Inc., and Sisters in Crime, she loves to hear from readers and is hard at work on her next novel. Diane is the past Executive Vice President of International Thriller Writers, past member of the Board of the Florida Chapter of Mystery Writers of America, and active in Sisters in Crime, Author’s Guild, Novelists Inc., and other writing organizations. She comes to writing after a successful legal career as one of the country’s top 1% of lawyers and is married to her college sweetheart. She loves her nomadic snowbird existence preferring perpetual summer migrating from Florida to Michigan each year. Diane says she writes mystery and suspense for the same reason she reads: to find out what happens, why people do what they do, and how to find justice in an unjust world. Diane loves to hear from readers. Contact her at: DianeCapri.com/Contact to receive notice of new releases, subscribe to Diane’s blog and newsletter with exclusive content for members only, or simply connect with her. Dear Ms. Capri, I love your books! I’ve read them all! I think maybe we’ve met before? Milwaukee maybe? Or Las Vegas? Your face looks familiar and I know writers don’t use their real names. Who are you? I mean, really? DIANE CAPRI: Who Am I? Really? As Shakespeare said, a rose is a rose. But we writers are the roses and the stinkweeds and all that grows between. We’re the earth, sunlight, water, and fertilizer. Lots of fertilizer. On the page, we observe, report, create and destroy new life, new creatures, human and not, there and here, then or now or in the future. In short, we make stuff up, seeking to entertain you. Characters, situations, places. And other stuff, too. Like names. I am a writer. That’s who I am. Really. Reader: Right, I get that. Already said I love your books. But I meant what’s your name? Reader: Let’s try this. Where were you born? DIANE CAPRI: New York City. Grand Hyatt Hotel. At a cocktail party on July 11, 2009, about 8:33 p.m. when a friend suggested we write something together. Reader: Your writing’s darn good for a three year-old. Is that a true story? Reader: Hmmm. What work did you do before publishing? DIANE CAPRI: I’ve always been a writer. I’ve also worked as a lawyer, law professor, teacher, consultant, green onion stripper, and for one summer, I filled cones with soft-serve ice cream for tourists who didn’t mind eating amid the aroma of horse manure. Reader: Horse manure? Green onion stripper? Seriously, is that true? DIANE CAPRI: Certainly. Lawyers don’t lie. Hand-to-heart. Reader: Oh, all right. Keep your secrets. You write mystery and suspense and thriller after all. I can live with that. But do I know you? DIANE CAPRI: Could be. If you don’t, I hope you will. Reader: Do you know me? DIANE CAPRI: If I don’t, I’d like to. Who are you really? Reader: Why should I tell you that if you won’t tell me? DIANE CAPRI: Because I’ll give you a free e-book if you do. Reader: I mentioned I love your books, right? Where do I sign up?